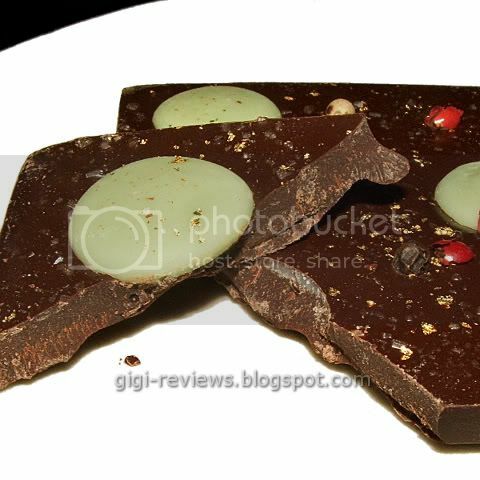 Gigi-Reviews: Chocri Custom Bar: "Gigi's Dream Lemon Bar"
And there is! 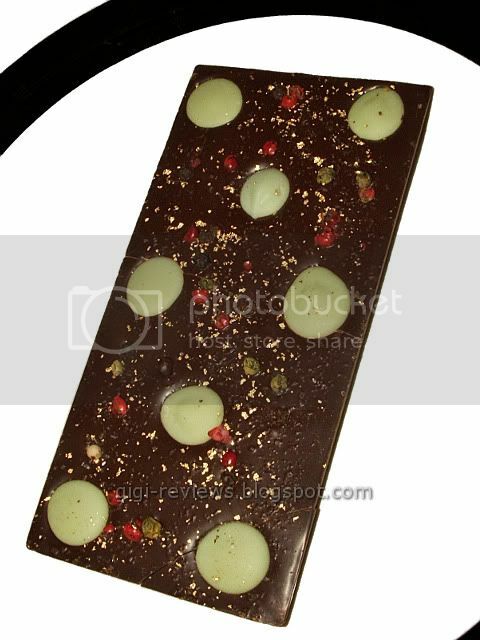 How about a custom made candy bar?! About a month ago, I got an email from the German chocolate makers, Chocri. 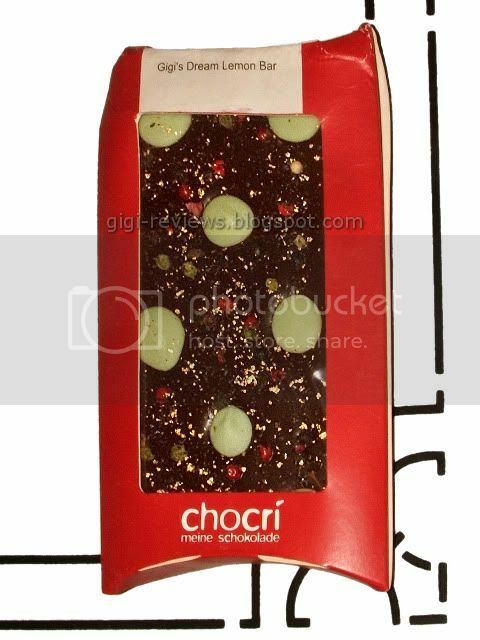 Chocri has been creating custom bars in Europe for a while, and is now expanding into the United States market. (The official U.S. launch date is January 5th, 2010.) And they offered me the opportunity to create my own bars, with my choice of ingredients. BOOOOYAH! Was I psyched? You better believe it! For the base chocolate you can choose between milk, dark, or white. Then you can add up to five additional items -- and there are over 80 toppings to choose from! I kid you not when I say I spent over an hour designing my bars. And you even get to name your bar if you want to. I am going to rate this a little differently than I normally would. Because I selected the flavors that went into the bar, I can't really base the rating on the final taste (for good or for bad) of the bar as a whole. After all, the individual ingredients could be great on their own -- but what if I chose a combination that turned out not to work very well? I certainly couldn't ding Chocri for my own poor decision. Therefore, I am going to base the rating, as much as possible, upon the individual ingredients by themselves. Now how could that possibly go wrong? It couldn't, and it didn't! 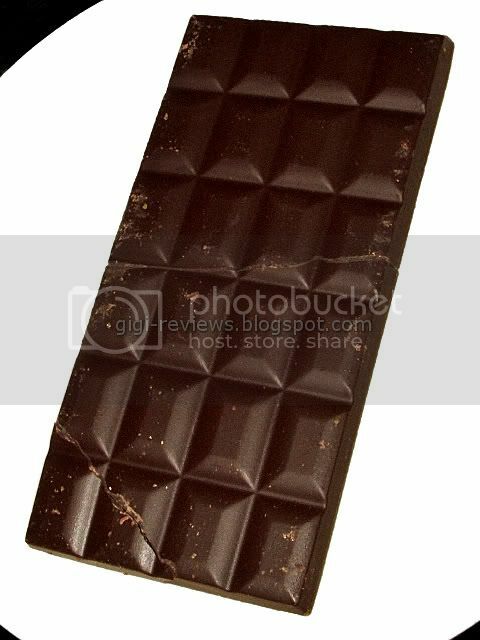 The dark chocolate is a 64% cacao. It has a fantastic snap and is super smooth. It's got a nice coffee flavor. The lemon chocolate drops are made of white chocolate, flavored with lemon. Yes, we all know how I feel about white chocolate -- but in this case, the lemon taste is really zesty and just makes for a rich citrus burst of flavor. The multicolored pepper consists of small whole peppercorns (green, black, red). I really like peppercorns mixed with the lemon. They add just a little heat, but they don't overwhelm the bar. The organic cane sugar: Very good. None of that all-too-common HFCS nonsense; this is real, old school sugar. You can taste the difference. And the grains of sugar on the top of the bar look pretty nice. All of the ingredients on their own were of excellent quality. The quantities were generous, but not one of the flavors overpowered the others. It was obvious to me that the good folks in Germany who actually combine the ingredients you choose have an excellent sense of proportion. When you receive your chocolates, you'll notice that the packaging is very simple, very Spartan in appearance (see the first picture). It does what it has to do, namely protect the chocolate it contains, and that's it. It looks nothing like the fancy, artistic packaging that high-end chocolates often come in...but do not be deceived by appearances! After all, even diamonds come out of hard lumps of rock and coal...and believe me, these basic, functional boxes contain some true diamonds of the chocolate world. Y'know what? Chocolate really doesn't come any more fun than this! 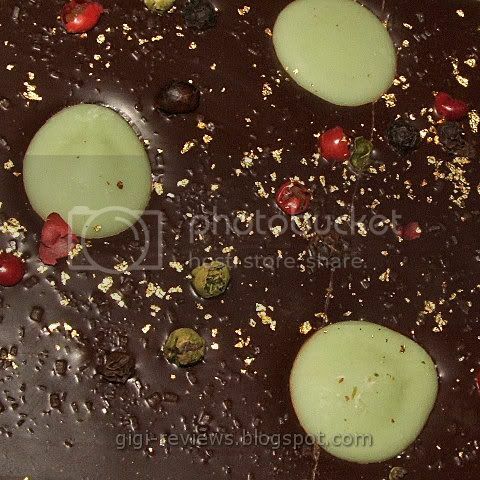 For all of you who want to try chocri as soon as we come out: Sign up to our newsletter on www.createmychocolate.com, and we'll give you the password to enter chocolate dream land on the 5th, instead of the 11th like everyone else. Also, thanks for the feedback about the packaging! You'll be happy to hear that we already have a nifty redesign in the drawer which we expect to use shortly after our launch. Also, my apologies for the condition in which the bar arrived with you!! We will use a different shipping provider once we launch (this is really not pretty!! ), and we'll protect the chocolate bars better so they don't break in transit. Thank you for your feedback, and I wish you a fantastic 2010! Way to go Gigi!!! Proud of you! !